Search #cutcrease on Instagram and you’ll be bombarded with (at time of writing) 830,000+ results. 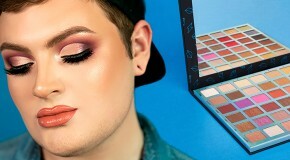 What you’ll see might look complex enough to demand a high level of skill, but a cut crease actually isn’t that complicated. It may be Insta-famous now, but the technique is actually a modern incarnation derived from a Sixties makeup trend popularised by beauty icons like Twiggy and Elizabeth Taylor. 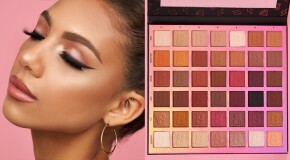 Like most trending beauty looks, the technique grew into popularity thanks to the Kardashians and consequently spawned countless copycats demoing the technique on Instagram (check out our Pinterest board to see it in action). It’s easy to see why it’s popular – the technique is basically contouring for the eyes (and we all know that contouring is a Kardashians favourite hobby). Thanks to clever application of light and dark shades, it adds depth and dimension, enhancing, extending, and lifting even the most hooded eyes to make them appear bigger and brighter. Start by priming your lids, using a light-coloured liquid concealer as a base all around the eye and lid. This will help to keep shadow smooth and in place (cut creasing doesn’t work if the colours blend into one another too smoothly). 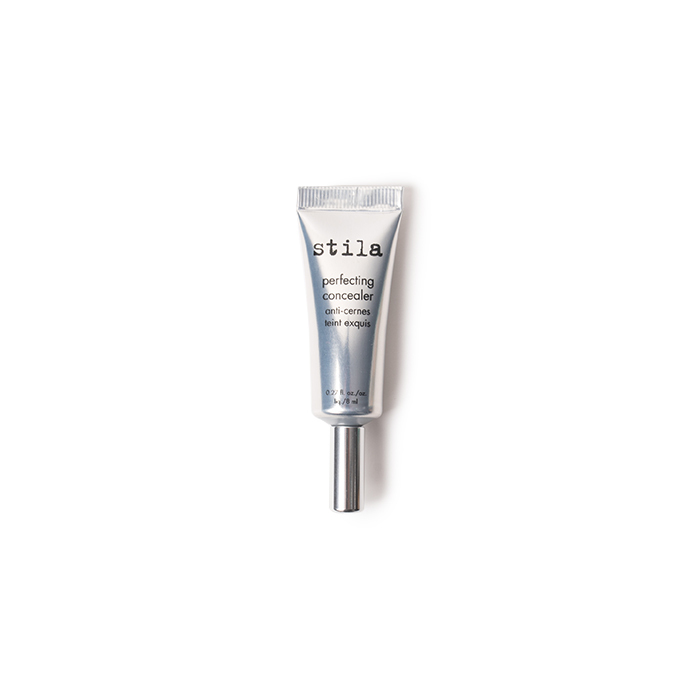 Stila’s Perfecting Concealer is pigmented enough to cancel out any discolouration but light enough to sit weightlessly and adhere easily to the lid. Apply a light powder all over the lid as a base, extend it up to the brow in order to highlight the whole area. 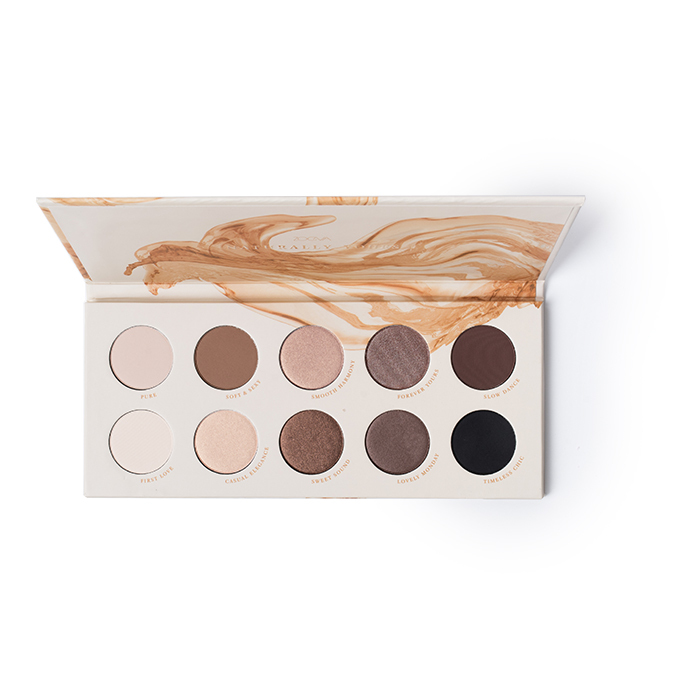 The ultimate eyeshadow arsenal, Zoeva’s Naturally Yours Palette caters to every intensity of cut crease, with 10 neutral shades in a combination of matte, satin, metallic, and duochrome finishes. Next, trace a harsh line along the crease using a medium shade. You can find where your crease is by pressing your brush into the hollow of your eyelid and running the colour against your socket line from corner to corner – the best way to do this is to keep your eyes open and look straight in the mirror. 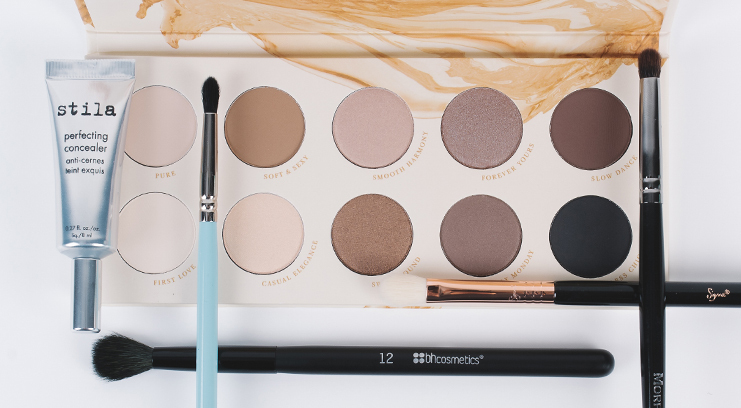 The most important thing here is the shape of the brush you use – My Kit Co’s Precise Crease Brush is designed to fit perfectly into the crease and disperse product evenly from start to finish in order to eliminate a need for copious blending. To intensify the effect, take a darker shade and lightly trace over the shadow you’ve just applied, starting slowly and building intensity in layers. Start at the outer corner of the eye and move inwards, creating a wing-like shape at the outer corner and extending colour down onto the lower lashline. 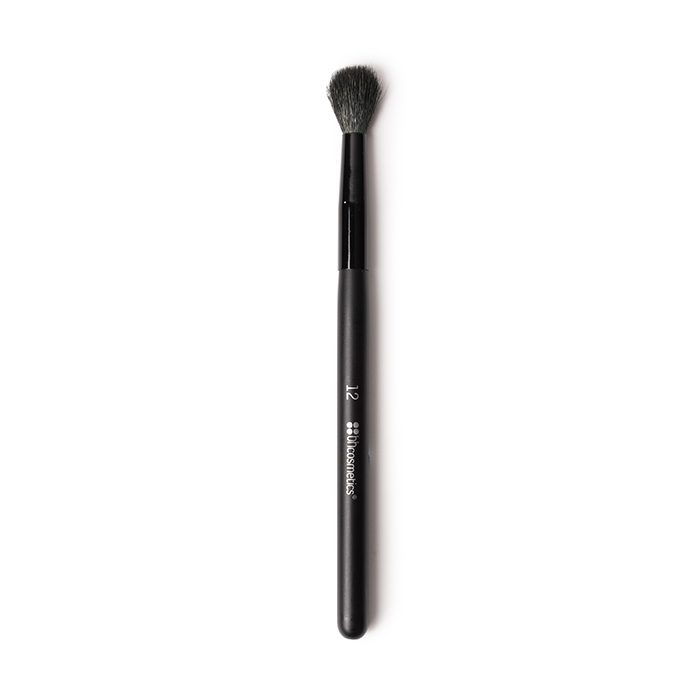 For this step, a brush with a small, round head and densely packed bristles like Morphe’s Round Crease Brush works best for smudging the line and ensuring it’s not too sharp. Keep shadow darker at the outer corners and lighter in the centre for an eye-opening effect. Reapply the pale eyeshadow along the lid to emphasise the contrast, and then apply it just above the crease (this is known as the transition shade) to soften the effect. 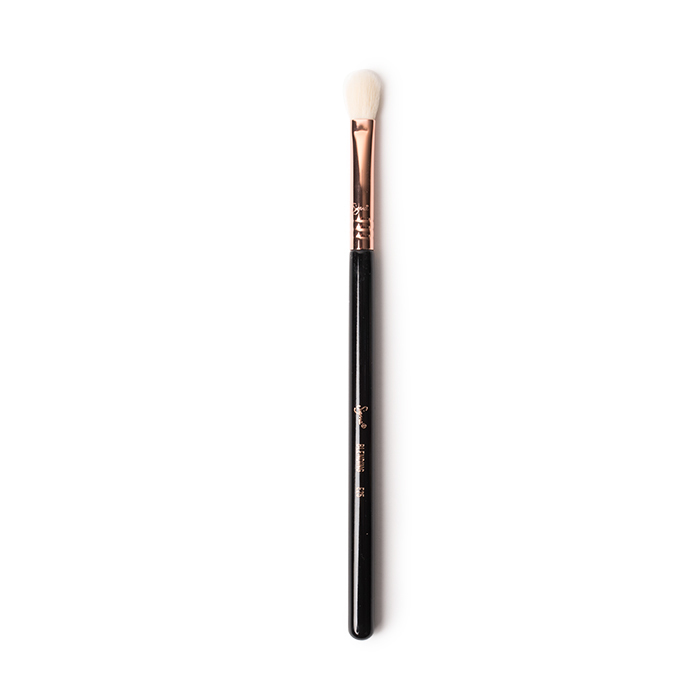 For this step, it’s important to use a light, fluffy brush like BH Cosmetics’ 12 Blending Brush, which sculpts the eye with zero powder fallout. Step 6. Pat the product onto the very centre of the lid, then buff it out. 6. If you’re applying colour then do this step last to avoid blending the shades too much and drowning out the crease. Use a flat brush to pat product onto the very centre of the lid, then buff it out. 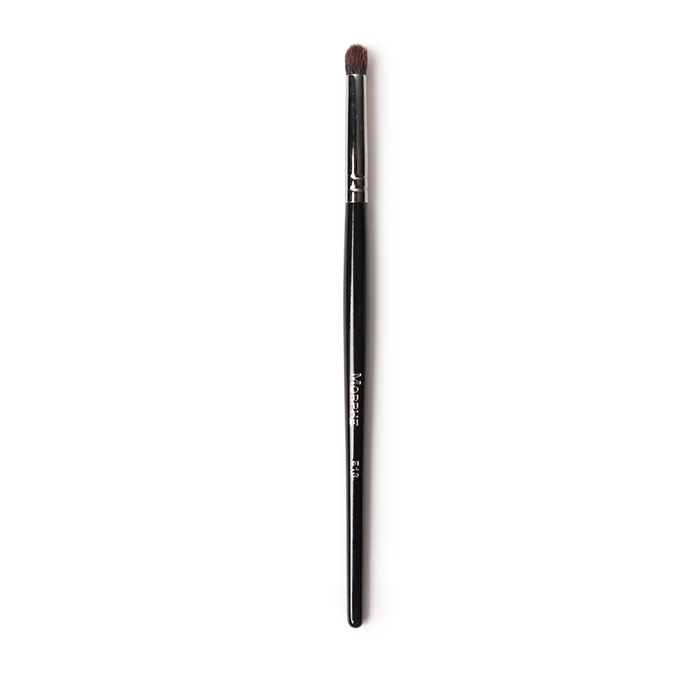 It’s important that the dark crease shade remains the most prominent, so use a light, fluffy brush like Sigma’s E25 Blending Brush in order to avoid blending the lighter shades into the dark crease colour. Finish the look with a flick of black liquid liner and lashings of mascara to emphasise the doe-eyed effect.